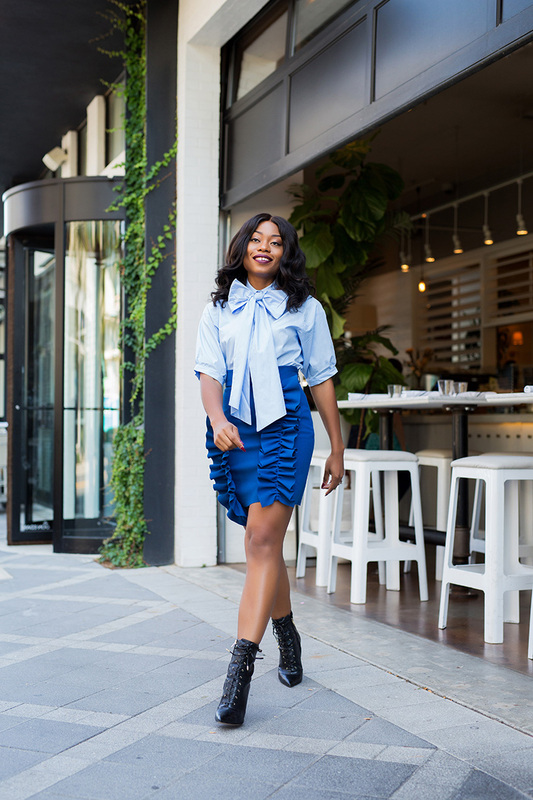 I look forward to embracing boots this fall and pairing ankle boots with dresses and skirts would be awesome. 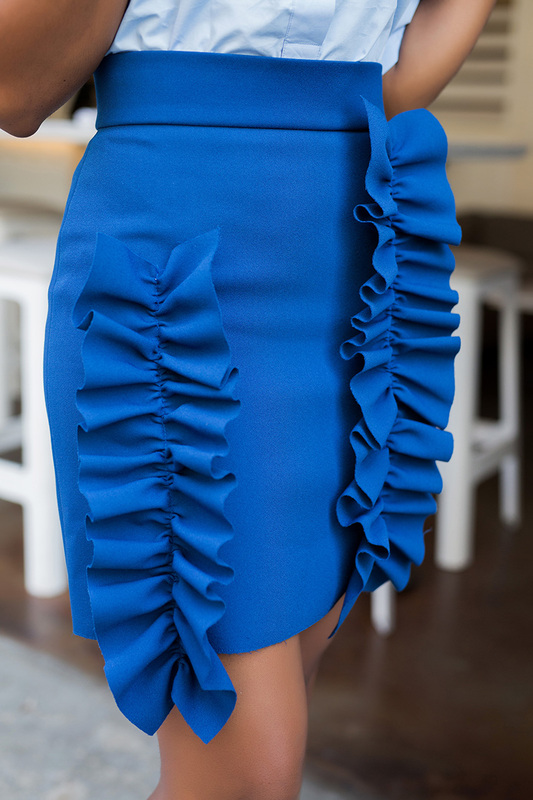 This MSGM ruffle skirt is a statement piece on its own and it says nothing but “fun”. 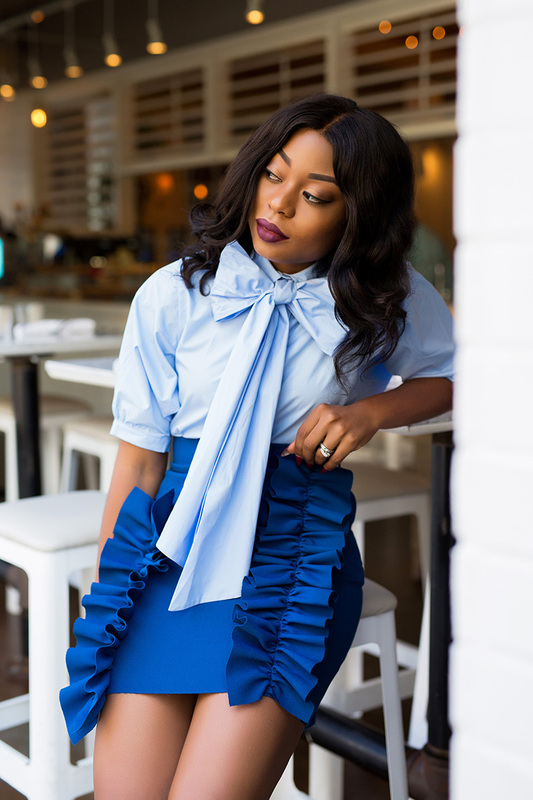 The exaggerated ruffle detail adds an edge to the look and it comes in red and black colors and this dress version is on my list of what to wear. 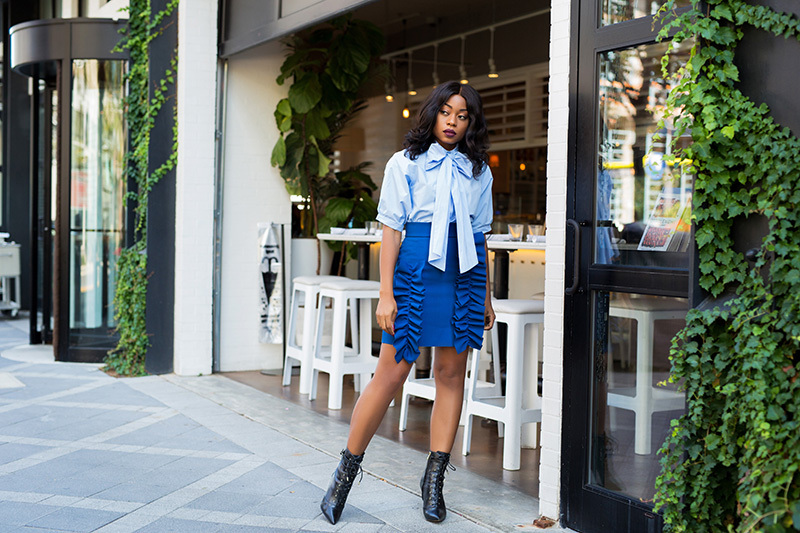 For this post, I styled the ruffle skirt with a light blue bow blouse for contrast and I completed the look with my old Sam Edelman booties for a take on fall. Your skirt is sooooo gorgeous! 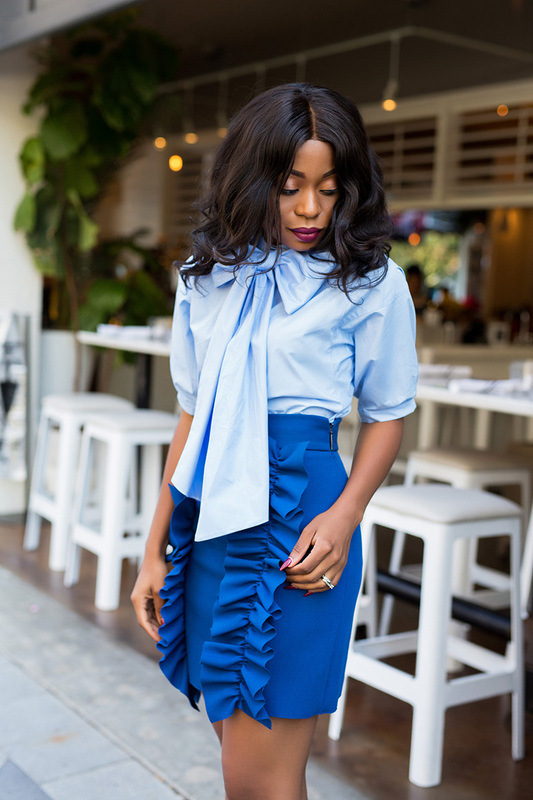 Love the ruffles and bow.